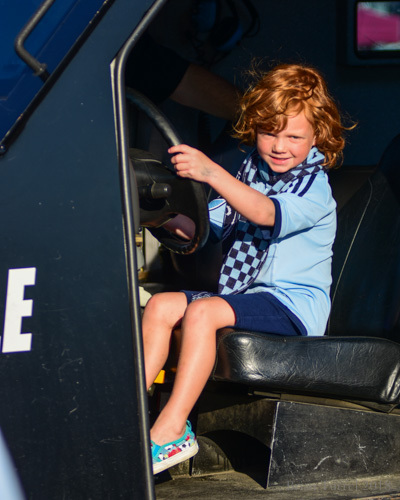 Sporting KC offense misfires in 2-2 draw against Toronto – Welcome to Wyandotte Daily! 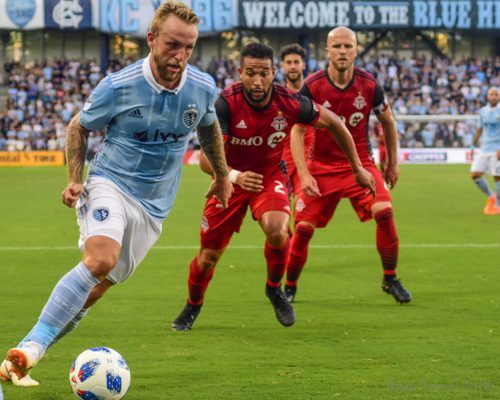 Several near-misses cost Sporting Kansas City a chance at victory on Saturday night, settling for a 2-2 draw at home against Toronto FC. 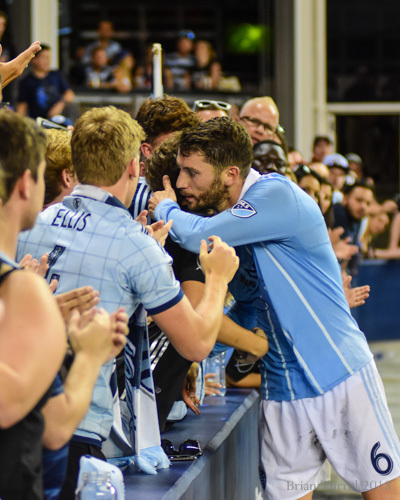 With his lineup depleted by injuries and suspensions, head coach Peter Vermes still praised the team’s effort. 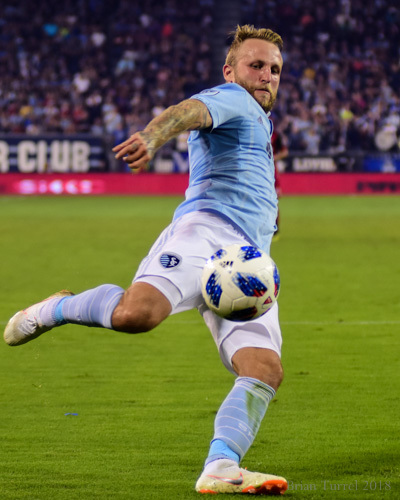 Sporting KC controlled the start of the game, with two shots in the first 10 minutes that nearly found the net. Toronto stabilized and then was able to take the lead midway through the first half on a goal by midfielder Jonathan Osorio. 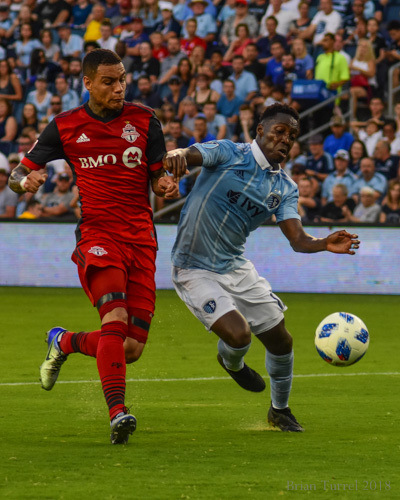 Kansas City struck back early in the second half when Gerso Fernandes was taken down near the Toronto goal, handing Ilie Sanchez a penalty kick opportunity that he knocked cleanly past the goalkeeper. 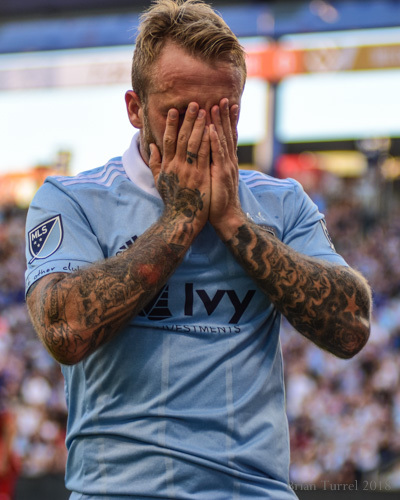 Kansas City moved ahead in the 61st minute when Diego Rubio found Johnny Russell in the middle of the field near the 18-yard line. 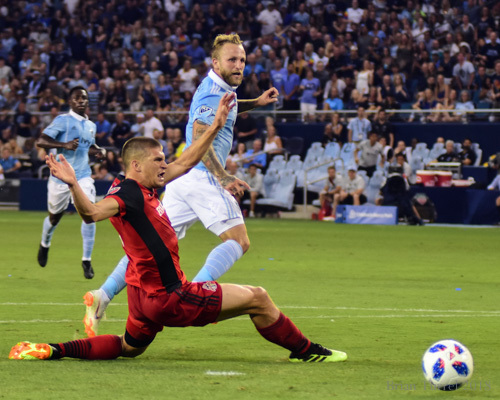 Sporting KC gave up the equalizer in the 69th minute to Toronto forward Jordan Hamilton. 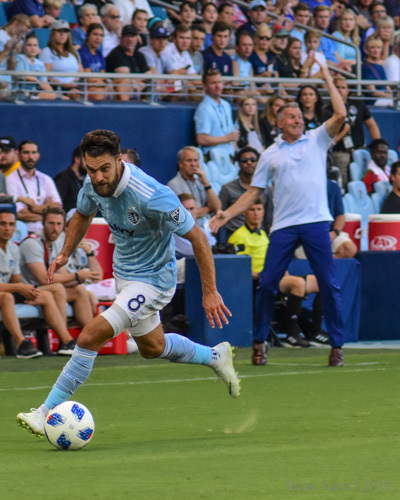 Although they continued to press in the late minutes of the game, Sporting KC wasn’t able to convert, with more near misses taking their toll. 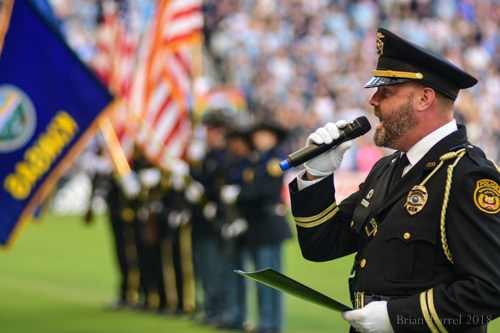 Sporting Kansas City plays on the road against the New York Red Bulls on Saturday, July 14. Their next home game is July 28 against MLS Western Conference leader FC Dallas.